From Dec. 27 to Jan. 1, the maximum temperature in Montreal did not rise above –17 C. It's the longest such streak on record, according to data going back 146 years. If you think the cold snap that gripped Montreal this past week is unprecedented, you now have statistics to back you up. From Dec. 27 to Jan. 1, the maximum temperature in Montreal did not rise above –17 C. This six-day stretch is the longest such cold streak on record, based on data going back 146 years. Thank Rolf Campbell, a software designer in Ottawa, for this historical tidbit. For years, Campbell has been tweeting out extreme weather trivia for 30 Canadian cities, based on data he analyzes with software he wrote himself. Here's another tidbit Campbell published on his Montreal-specific Twitter account, @YUL_Weather: this New Year's Day had the coldest wind chill in 61 years. Campbell, who has always had a passion for weather statistics, started tweeting his findings because he found most weather services lacking in historical perspective. "They just say today was –25 degrees, but they don't say, 'Wow, we hadn't had a day like this in years,'" he said. "It's nice to get a confirmation that what we're experiencing is normal or abnormal." To find notable statistics, each day Campbell's software fetches weather data from Environment Canada. It then tests the numbers for 200 types of extreme weather events. If it finds something noteworthy — for example, a temperature streak or rainfall in a historical top 10 — it crafts a tweet based on a template, which Campbell decides whether to send out. To find the current six–day streak for Montreal, the software looked for patterns at all temperature thresholds. 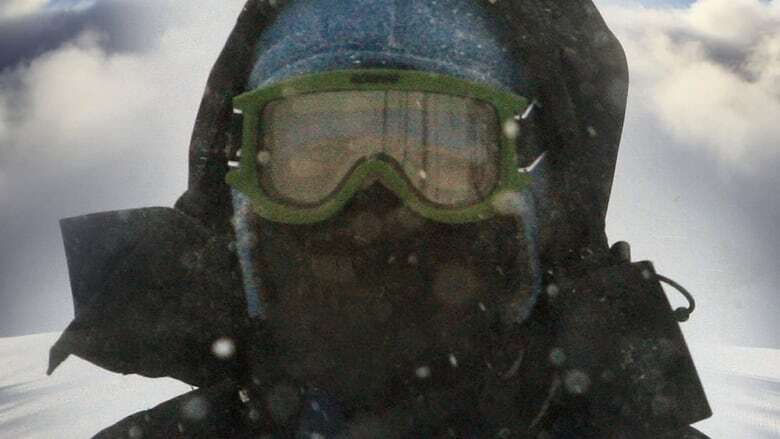 Minus 17 C was the maximum temperature that looked "the most dramatic," he said. He said 90 per cent of tweets from his accounts are generated by his program. Last week, CBC Montreal reported that the current cold snap was not very remarkable when viewed historically. The 1970s had many more days that were extremely cold. However, that data was based on days in which the minimum temperature hit –20 C or less. Singling out maximum temperatures gives a more accurate view of how cold it really was for days at a time, Campbell said. 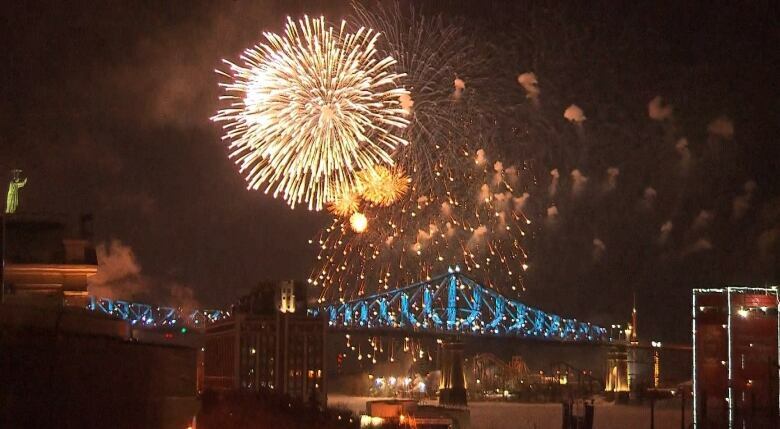 Tens of thousands of Montrealers turned out to watch the fireworks and usher in 2018, despite the extreme cold. 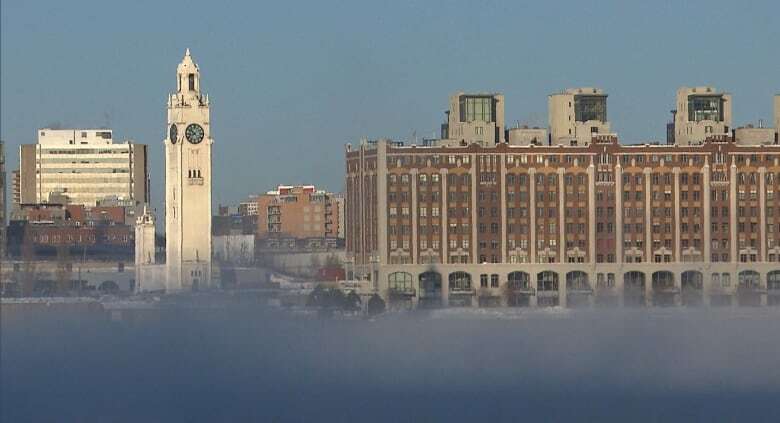 New Year's Day will be memorable for having recorded the coldest wind chill in 61 years.